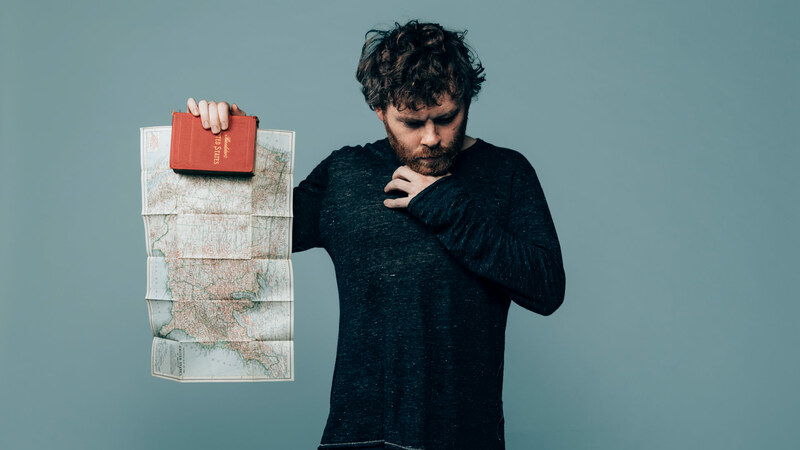 For his first Irish performance, Gabriel Kahane treated a hushed and reverential audience to an intimate display of his many talents. The New York resident, who divides his time between classical composition, musical theatre and writing songs that he refers to as “pop or folk”, accompanied himself on piano and a guitar he’d borrowed from a guy from Cork, and littered his short but rewarding set with liberal doses of humour and chat, to the delight of the small audience in the Studio of the National Concert Hall. Kahane’s songs are divided between long, intense, narrative works and short, often hilarious ditties about killer cats and Tweets, both delivered in his clear, unfussy singing voice. He speaks as much as he sings, but his onstage banter is as much part of the performance as the songs themselves, with each song introduced like the liner notes of an old LP. His songs from Book of Travellers, his latest album which was drawn from a cross-country trip he took in the wake of Trump’s presidential election, are more akin to classical pieces than conventional singer-songwriter fare, with movements and shifts in mood, rarely hinging on a hook or a chorus. In contrast, songs like Ladies, If He…and God’s Perfect Killing Machines are over in an instant, providing light relief despite their musical complexity. Kahane is the type of writer who sees advertisements on CraigsList and thinks, “I will turn this into a work of art!”, and Neurotic and Lonely from Craigslistlieder is a definite set highlight. In fact, the smaller, sillier songs arguably strike deeper into the heart of modern life and culture than his longer, more earnest pieces. Kahane’s piano prowess is something to behold. Making full use of his instrument – reaching inside to mute and pluck the strings at one point – and drawing his audience in with his witty chat, Kahane is certainly more engaging in person than on record, where his vocals and meandering songwriting style can feel labourious. He leaves us with the poignant Little Love from Book of Travelers, perhaps the most conventional song of the night, and certainly the most affecting. As he bounces through the audience to take his seat outside to meet his fans, there is no doubt that he has enchanted us enough to make us want to come back for more.